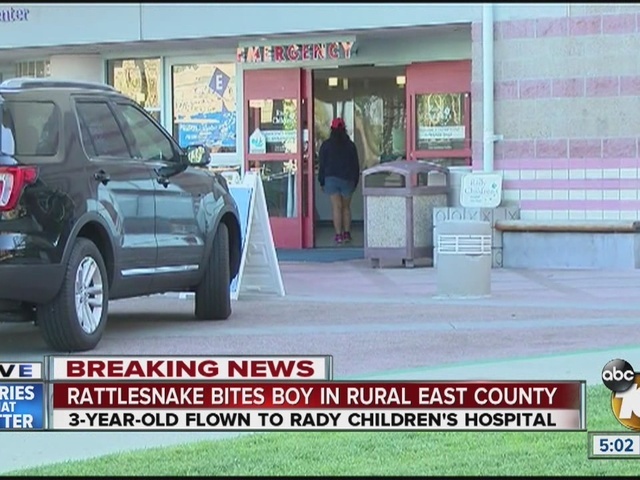 BOULEVARD, Calif. - A rattlesnake struck a toddler in the rural East County Tuesday, sending the child to a hospital. Emergency crews were called to the area of Ribbonwood Road and Interstate 8 in Boulevard about noon to tend to the stricken child, according to Cal Fire. Medics airlifted the youngster, believed to be 2 or 3 years old, to Rady Children's Hospital, said Kendal Bortisser, a fire captain with the state agency. 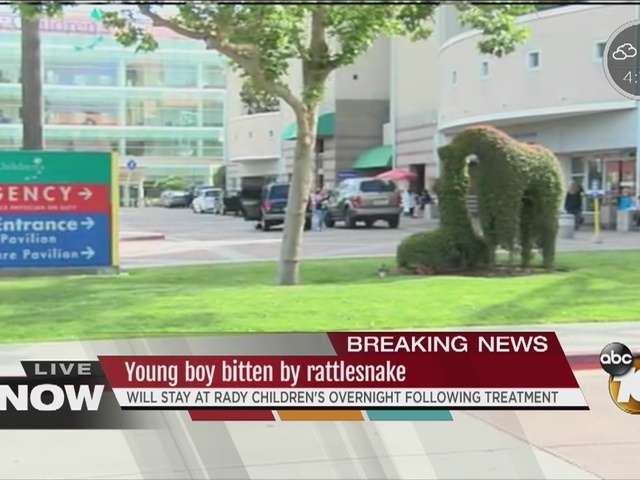 The victim's gender, condition and prognosis were not released, and the conditions under which the snakebite occurred were unclear, according to Bortisser.